What a great group of young people, learning from awesome, dedicated and knowledgeable teachers, Fay Hanson and Jared Bogdonov-Hanna, from Oakland University Student Farm Program. 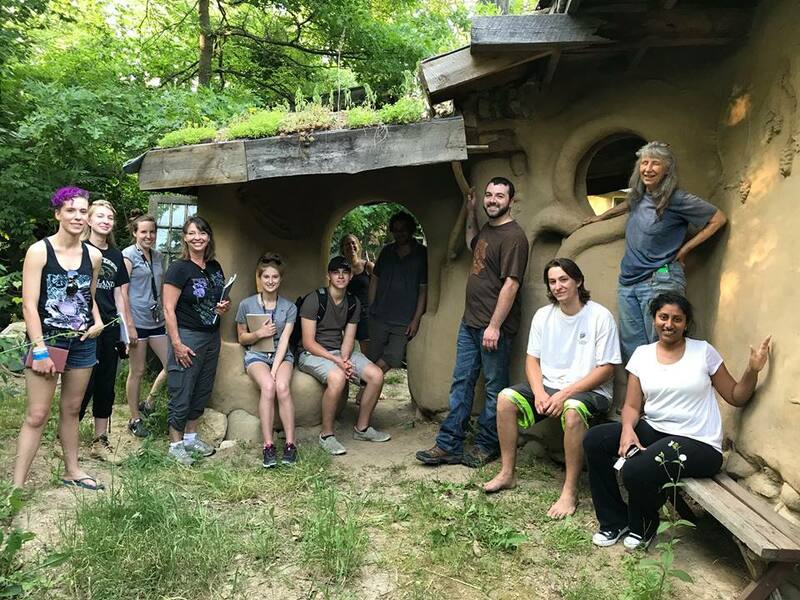 This is a Permaculture Class, coming to Strawbale Studio for a tour, to see the interconnections and possibilities of using local natural materials to create structures and gardens, earth ovens and rocket stoves. What a joy to be with them, and also to feel the hope that I feel, knowing that these souls, long contribute to Life through farming and nature. Ah !